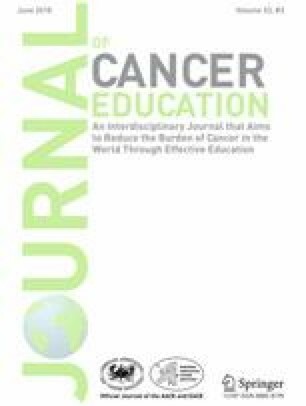 A key outcome measure of cancer research training programs is the number of cancer-related peer-reviewed publications after training. Because program graduates do not routinely report their publications, staff must periodically conduct electronic literature searches on each graduate. The purpose of this study is to compare findings of an innovative computer-based automated search program versus repeated manual literature searches to identify post-training peer-reviewed publications. In late 2014, manual searches for publications by former R25 students identified 232 cancer-related articles published by 112 of 543 program graduates. In 2016, a research assistant was instructed in performing Scopus literature searches for comparison with individual PubMed searches on our 543 program graduates. Through 2014, Scopus found 304 cancer publications, 220 of that had been retrieved manually plus an additional 84 papers. However, Scopus missed 12 publications found manually. Together, both methods found 316 publications. The automated method found 96.2 % of the 316 publications while individual searches found only 73.4 %. An automated search method such as using the Scopus database is a key tool for conducting comprehensive literature searches, but it must be supplemented with periodic manual searches to find the initial publications of program graduates. A time-saving feature of Scopus is the periodic automatic alerts of new publications. Although a training period is needed and initial costs can be high, an automated search method is worthwhile due to its high sensitivity and efficiency in the long term. The authors wish to thank Ms. Lee Vucovich of UAB’s Lister Hill Library of the Health Sciences and Ms. Judy Baker of the Department of Epidemiology in the UAB School of Public Health for their guidance on and assistance with this project. This research was supported in part by the UAB’s Cancer Research Experiences for Students (CaRES) Program, 5R25CA076023, funded by the National Cancer Institute. Scopus. 2016. Journal Metrics: About Scopus. Elsevier. http://www.journalmetrics.com/about-scopus.php Accessed 2 February 2016. Elsevier. 2016. Who uses Scopus: The A&I research discovery solution for academia, business and government. https://www.elsevier.com/solutions/scopus/who-uses-scopus Accessed 2 February 2016. PubMed. 2016 US National Library of Medicine National Institutes of Health. http://www.ncbi.nlm.nih.gov/pubmed Accessed 2 February 2016. Web of Science. 2016. Journal citation reports and essential science indicators. Thomson Reuters https://apps.webofknowledge.com/select_databases.do?highlighted_tab = select_databases&product = UA&SID = 3DPXijiCoH8lHmwVXk9&cacheurl = no&errorKey = errors.noProductSubscription#searchErrorMessage Accessed 2 February 2016. Google Scholar. 2016. https://scholar.google.com/ Accessed 2 February 2016. Fingerman, S. 2006. Web of science and Scopus: current features and capabilities. Issues in science and technology librarianship DOI:10.5062/F4G44N7B http://www.istl.org/06-fall/electronic2.html#3 Accessed 30 June 2016.